sat night saw a dark coloured over silver calais on lygon, along with a harlequin over silver vl tubbed on some wide fr's. Also saw a silver sl or berlina on walkies pulling onto mahoneys rd, gave me a bit of a dose lol. 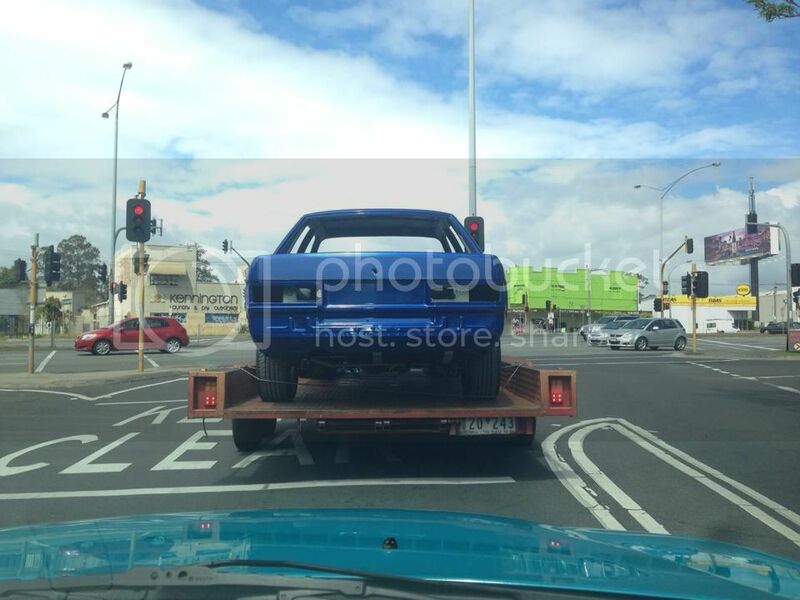 Spotted PAZZO.6 on a tow truck at around 5:45pm tonight on High street in Reservoir. Haven't seen that car in years. Victoria = home to the yellow BT-1. went a 10 years back didnt it with a basic setup of memory , from the jpc camp? Yeah I think it did have a basic setup, wonder what set up it has now, or whether it has the same setup. I remember when it was featured in Street Commodores years ago when it had the plates SIKPSI, the paint still looked mint. how u been man , been a long time ! pm me gta catch up for some photos ! Saw a gold berlina on polished calais wheels in the carpark at latrobe, thing looked really mint, perfect interior, looked like it had been resprayed. It had a p plate on it also, its good to see that p platers still want to drive vls. Your inner LH park light isn't working. Just saw a bright blue over silver VLCT dundas st Fairfield drive past me, custom beige leather, stock plates looked mint pal! Verry nice clean vl man! Speed has never killed anyone, suddenly becoming stationary... That's what gets you. Spotted gdsgft on a tandem in Lonsdale st nice looking car! Spotted a clean VLT at the gym today, silver exec with mx bars/moulds, black cooler and blue seat covers. Had the burgundy colored victorian plates (club reg?). Last edited by MUS; 23-09-13 at 03:13. Yeah thats a mate of mines. Decent setup under the hood. Spotted in the North Dandy area, anyone on here? Last edited by BigM22; 23-10-13 at 18:30. I'm pretty sure they wouldn't want a pic of part of the front of their house as someone may recognise it. Spotted LSNGMH in Richmond this morning as I walked to work. Probly would've missed it if it wasn't for the cooler hanging out the front. Man, that thing looks dumped in the rear hard. Pretty clean overall too. was cruising through Brighton and out of no where this pulled out in front of me. Anyone off here? Seen a yellow vlt yesterday, he seen me and my mate standing there at the front of a house so he gave us the typical hectic uleh massive spool and dose. Then did a u turn and did it again, what a tool. Because of him vlt enthusiasts have a bad name.